After writing about the Orion today and talking about how XL unviable it is, I felt the need to do the unthinkable. I thought "What if Orion was perfectly XL viable?" and went crazy in the 'Mechlab. I talked about the balance of firepower and speed a little bit in my IS CW deck article. To reiterate; if you are slow, you should offset for it with firepower and armor. The Dire Wolf and the 3xAC5 BNC-3E are the perfect examples of this. It's not hard to catch them out of position, but their DPS is so ridiculous that they can still melt your face in seconds while you peck at them. If you are fast though, you can afford to be vulnerable but you still need a lot of firepower to offset for your lack of tank. XL BNC-3M's and BLR's are examples of these. 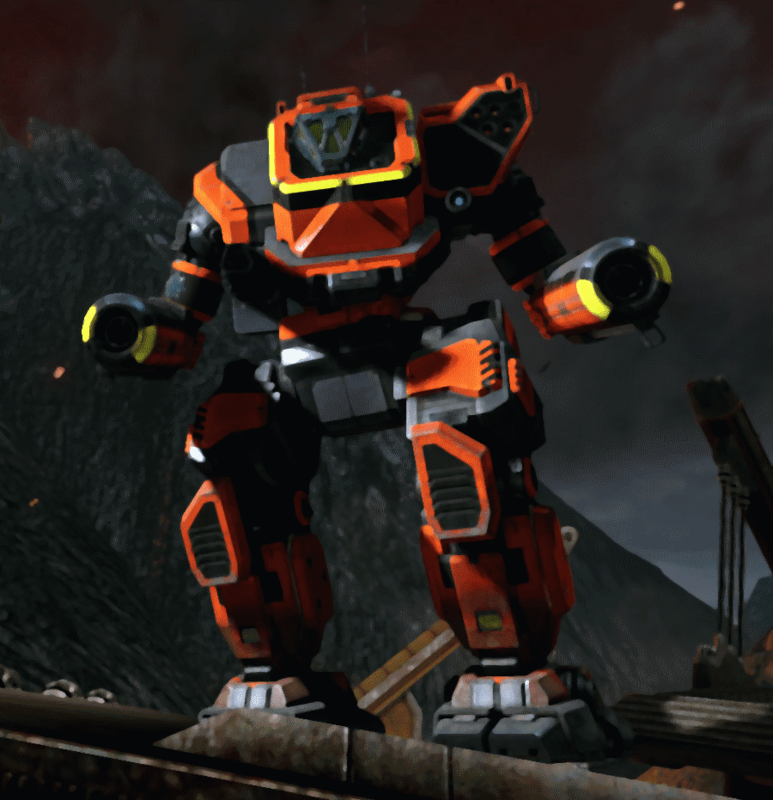 Even though they're hurt by their XL vulnerability, these 'Mechs are so nimble and pack so much firepower that they just devour whole teams at flank speed (high hardpoints help too). So can we actually pack a meaningful amount of firepower in an XL Orion so that it becomes at least semi-viable? I must admit, this is wishful thinking. The Orion is extremely prone to lose sides when attacked from sides (and when twisting) that an XL probably won't change the situation (still to be tested thoroughly though). Still, I just wanted to find out if I can truly pack an impressive firepower and just streamroll my test track. I chose my Protector for this job because let's admit, it's the most versatile of all Orions. While lacking any meaningful boating capacity, its quirks are suited for a wide variety of effective builds. I quickly cobbled up some builds and I tested them on my test track(read if you're wondering what the hell these timings mean) in the training grounds. Keep in mind that this test track does not say anything about survivability. It's purely about balancing speed/firepower/heat efficiency triangle. My aim was to run through it as fast as possible with a solo/group queue ready build. This is probably not ideal for a CW match (low Gauss ammo) but it should do the trick in the group/solo queue. At 77 KPH it's surprisingly mobile and with its 15 DHS and -15% energy heat generation quirk it's really hard to overheat with this thing. One other plus is that it's usable in a "dump-twist-dump" style of gameplay. The only time it struggled was when I reached the Atlas, but that thing makes every single laser-heavy build sweat. It completed the course in 2:13. This is a very respectable time. Most of the average 'Mechs in this game score anywhere between 2:30-3:00 and the really good ones do it below 2:30. About 1:48 is the maximum achievable with ridiculously AC5 quirked mediums and heavies. So on this scale this build sits somewhere in the middle and is very effective. I don't know who came up with this build, but it's pretty good. Then I took my own spin as always and I tried out the same build . . . with LPLs. The engine and some heatsinks had to be sacrificed and I was expecting to do really badly, but it actually did it in 2:18. Considering the loss of time due to its speed, we can conclude that it's equally effective at killing stuff when movement is not a concern. Then I thought "Why not dual ballistics?" and put two AC5's in this thing while removing one LPL. Dual AC5 is one of the best weapons IS has.
. . . it did it in 2:02 and took its place in the hall of fame. This thing absolutely breezed through the Atlas part. The best thing is you cool down while using AC5's and still do lots of damage. The worst thing is the constant face-time needed. The Orion isn't that bad of a face-tanker (with mild twisting) so this might not be a problem. The build is definitely a winner though. Then I thought "How can I make this even more ridiculous?" and I remembered there's one unused critical slot left in the RT. That slot was promptly filled with a UAC5. But I didn't get what I was expecting. Due to jams it completed the course 4 seconds slower at 2:06. Single unquirked UAC5's are just too unreliable compared to an AC5. Into the garbage bin! How about we shake-up the build a bit and introduce SRMs while keeping dual AC5's? That'd definitely help us get through the Atlas part quicker with the sheer DPS of the dual AC5's and the raw burst damage of the ASRM6'es. It did it in 2:00. Mother of god. In terms of dishing out damage, my track tells me this thing is a god in MWO. I'm not really convinced though since making a brawly XL Orion is just going to far for me (I'll do this though!). It's a good STD build, but it just doesn't compare to what we can do with an XL. It completed the track in 2:16. Not bad. It seemed like the speed was hurting me more than the heat though. Big mistake. I lost 14 seconds and it completed in 2:30. It was just too hot and I struggled killing the Atlas in a timely manner. It turns out it wasn't entirely speed at all. So what if we use a LL instead and use the extra tonnage on more heatsinks? To my surprise this one did it even slower, at 2:35. What in the hell happened? Maybe LL just could not damage quickly enough? This is the first time I felt a weapon was the problem rather than speed or heat. How about we take the same route we did with the XL builds and finish off with an SRM build? 2:28. Mehtacular. This was a good build with the previous Protector quirks but right now it's just not worth it. Not that 2:30 is a bad score, but we already found builds doing much better. At this point, I decided to call it a day. Then before calling it, I decided to do just a little science with the TBR. After all, both the Orion and the Timber Wolve are 75 tonners, so it makes sense to compare their effectiveness. I wanted to take one of the most fierce TBR build of them all, the 4xSPL+4xASRM6 build for a ride. It did it in 2:09. 9 seconds slower than the best XL Orion build I could find. Granted, maybe (U)AC builds can do it in shorter time (just maybe) but I'm still surprised by this. Then I thought maybe it was because SPL range was hurting me, so I changed them to ERML's. Big mistake. The time dropped to 2:24. ML's are great general-purpose weapons, but they're simply too hot when paired with C-SRMs. Lastly, I took my TDR-5SS for a ride and it completed the course in 2:18. XL Orions are freaking scary. For me they were a taboo and I still think it's a bad idea bringing them to the solo queue, but they might find some application in the blizkrieg grounds of the group queue where damage output is the king. Simple changes can make a lot of difference. LPL+AC20 is a great combo on the Orion, so is the dual AC5. Single UAC5 suffers a lot from jams. Single LL is a bit underwhelming. Keep in mind: These are just test runs in a controlled environment. It's still unclear how these will perform in real combat. That's it for me today. I don't have a solid conclusion here as more science is needed. I just wanted to document what I did today and thought maybe some of you would find it interesting.